After a rainy day yesterday, a radiant sun settled over the Uzbek capital, Tashkent, which hosts from 9 to 11 November, the 6th Grand Prix of its history and the 9th and penultimate Grand Prix of the season 2018. 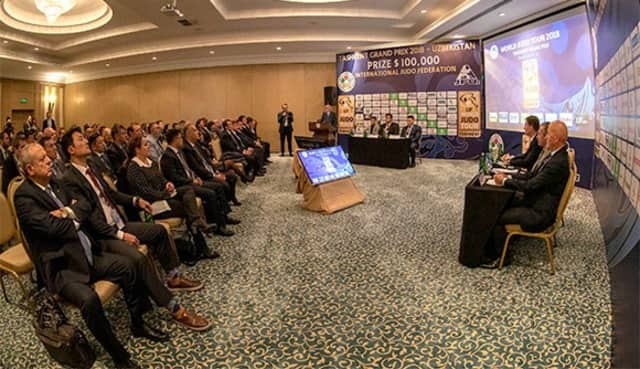 If 2018 was a year rich in events and results, the tournament of the coming weekend promises to be strong with no less than 352 competitors involved, representing 47 delegations from the five continents. As Vladimir Barta, the IJF Sport Director, underlined: "We are approaching the parity men / women and it is excellent news", since there will be 151 women and 201 men who will take part in the Tashkent Grand Prix in the next three days. 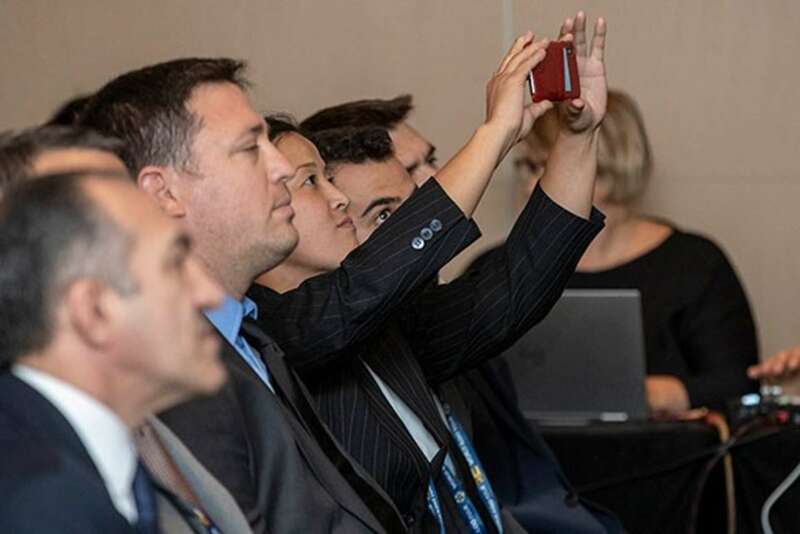 As with every event of the World Judo Tour, the official draw was the day's compulsory passage for all delegation leaders. As usual, the seriousness and concentration were already visible on the coaches' faces, who were eager to announce to their athletes the menu of the competition. They were welcomed by Mohamed Meridja, IJF Education and Coaching Director: "On behalf of the IJF and its President, Marius Vizer, I wish to warmly welcome you to Tashkent. A big thank you to the Uzbek Judo Federation for organizing this Grand Prix. We are already looking forward to the beautiful competition we are going to attend. I wish you good luck." At the end of the draw, the presence of Diyorbek Urozboev (UZB), Olympic bronze medalist and Asian Champion, who will compete in the -60kg weight category, set the tone of the Grand Prix: "The draw is strong, very strong and many athletes have the ability to get on the podium, but beyond the draw itself, it's the tatami that will speak this weekend. We have a very strong team and I sincerely hope that we will be able to win many medals." That's all we can wish Diyorbek Urozboev and his delegation. 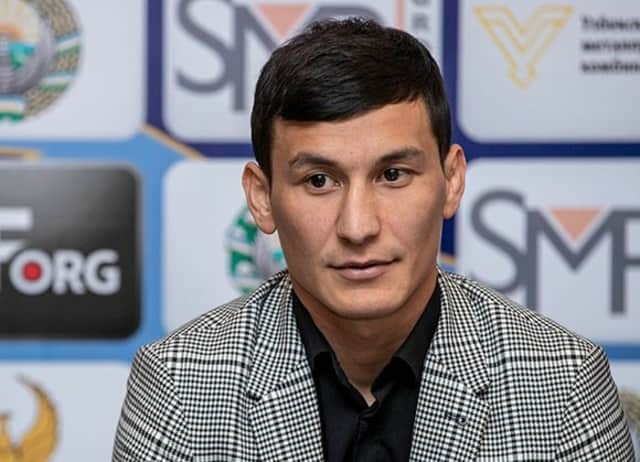 With 51 athletes registered (28 men and 23 women), Uzbekistan has a good chance of being close to the top of the nation rankings within three days. Every day the preliminary rounds will start at 11:00 (local time) on three tatamis, while the final block will start at 17:00 on one tatami. The first day will be devoted to the lightest categories with men -60kg and -66kg and women -48kg, -52kg and -57kg. The -60kg category could be summed up as a peaceful clash between Mongolia and Uzbekistan, with the top seeds coming from these two delegations: DASHDAVAA Amartuvshin (MGL), Sharafuddin LUTFILLAEV (UZB), Diyorbek UROZBOEV (UZB) and GANBAT Boldbaatar (MGL). Team France which came only with a delegation of men, while they had made the choice of women in Abu Dhabi recently, can perhaps play the spoilsports with their young prodigy Luka FRAMKHEIDZE, who was finalist in Cancun a few weeks ago but who is still to find his mark on the world circuit. Under 66kg, the title could go to Yerlan SERIKZHANOV (KAZ), who recently disputed the final of the Abu Dhabi Grand Slam, unless the current European Champion, Adrian GOMBOC (SLO) produces the perfect day. But in this very open category, many other athletes have the ability to get on the podium. In women -48kg, one expected the clash between GALBADRAKH Otgontsetseg (KAZ) and the world number one, MUNKHBAT Urantsetseg (MGL), but in the absence of the latter, it is the Kazakh who has the best chances of victory. But that's not counting on the potential of Katharina MENZ (GER), Distria KRASNIQI (KOS), Milica NIKOLIC (SRB) or CSERNOVICZKI Eva (HUN), who won a bronze medal last year. All these young women have serious reasons to believe that they can win on the first day of competition. If she is now only 22nd in the world, due to a long absence due to injury, and even if she is not the number one seed in Tashkent, Olympic Champion Majlinda Kelmendi (KOS) will be without doubt the athlete to beat tomorrow in Uzbekistan. Already a finalist in Abu Dhabi two weeks ago, she may well this time win the gold that suits her so well. But the return to the highest level is never so simple, and she will find on her way, Evelyne TSCHOPP (SUI), Agata PERENC (POL), Gili COHEN (ISR) or PUPP Reka (HUN). After the disappointment of her 7th place at the Baku World Championships, Nora GJAKOVA (KOS) was able to bounce back by masterfully winning the Grand Slam of Abu Dhabi on October 27th. This result positions her as the logical favorite of the competition in Tashkent and it may well be that once again no one can stop her in a category where many athletes dream of pulling out of the game.